Mayar is a mountain in the Cairngorms NP and sits at the head of Glen Doll above the beautiful Corrie Fee, the mountain is 928m in height. 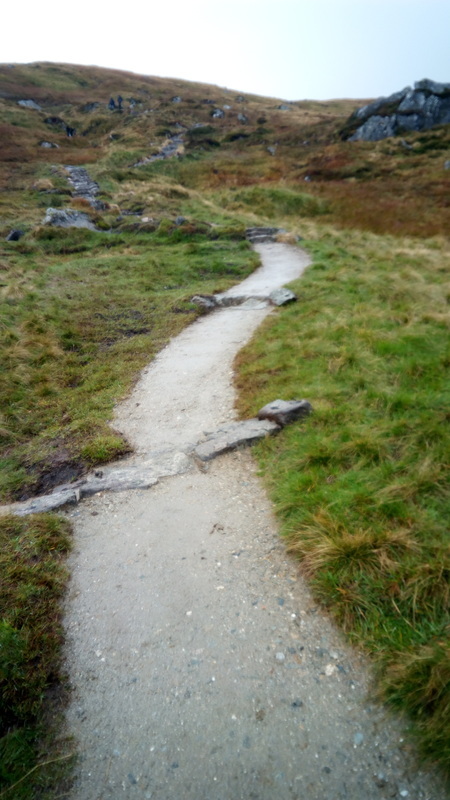 Another of COAT's The Mountains and The People (TMTP) projects, this was a contract to build 265m of mixed aggregate and stone pitched path with stone built drainage features, all stone had to be flown into site and we sourced this from the scree slopes at the bottom of Craig Mellon before Skyhook Helicopters lifted into place. 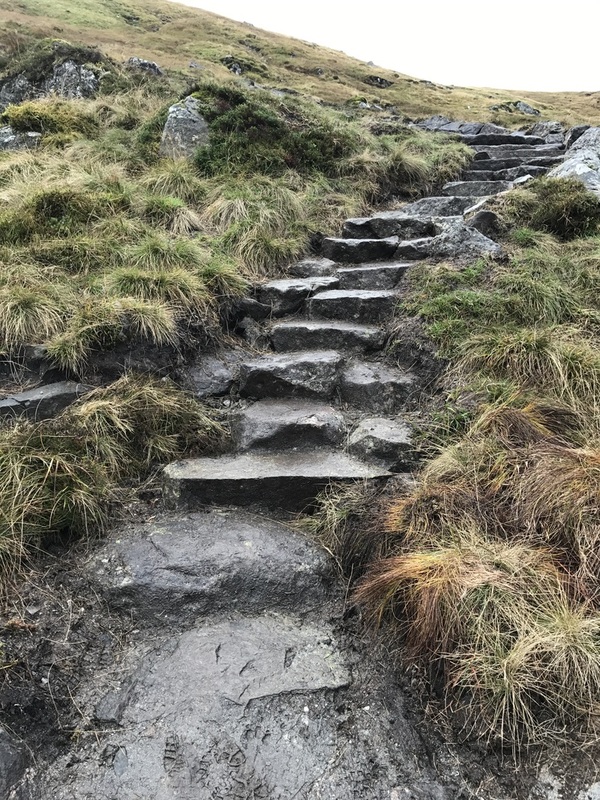 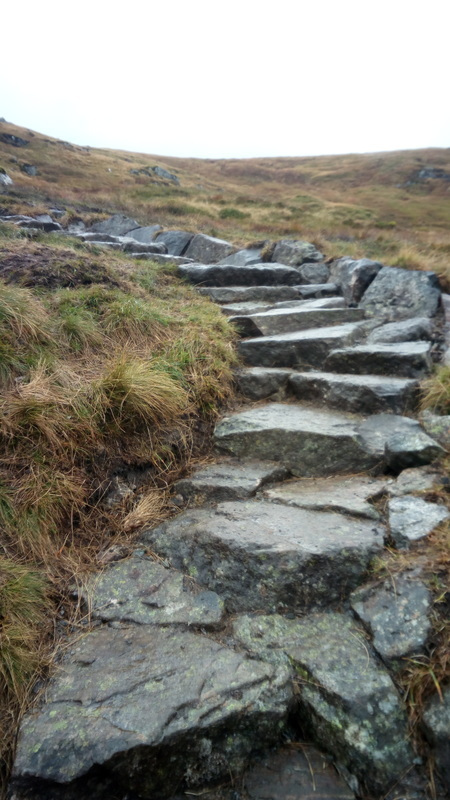 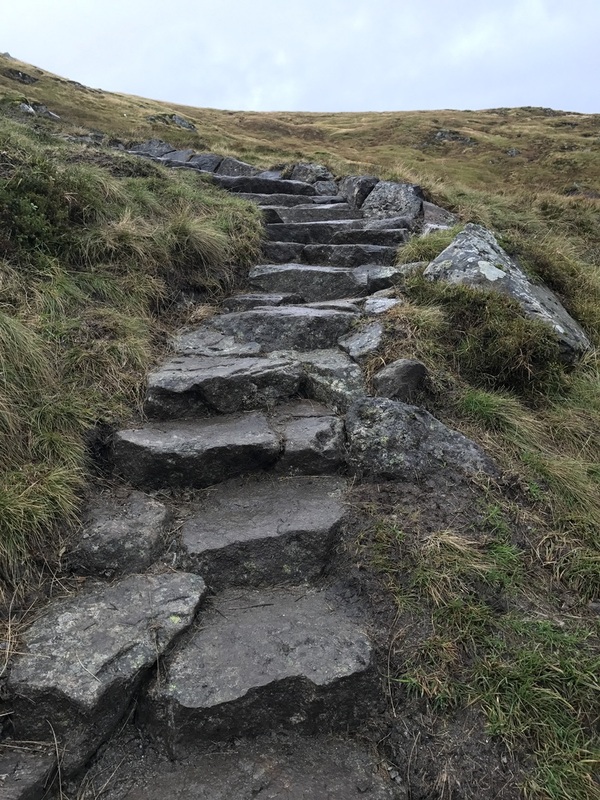 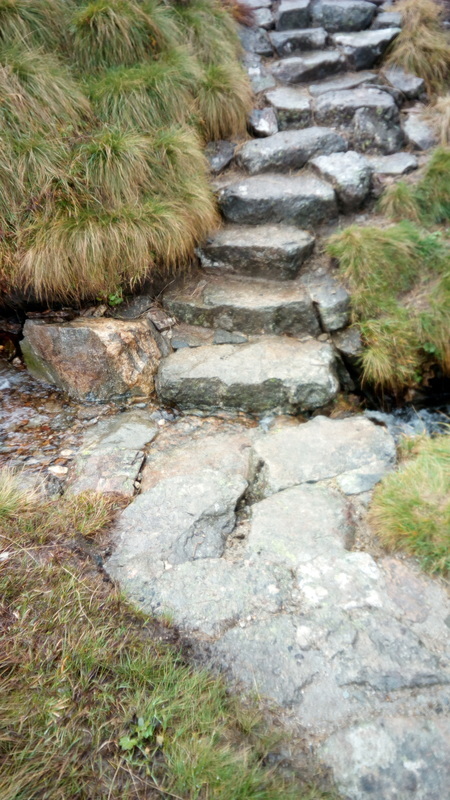 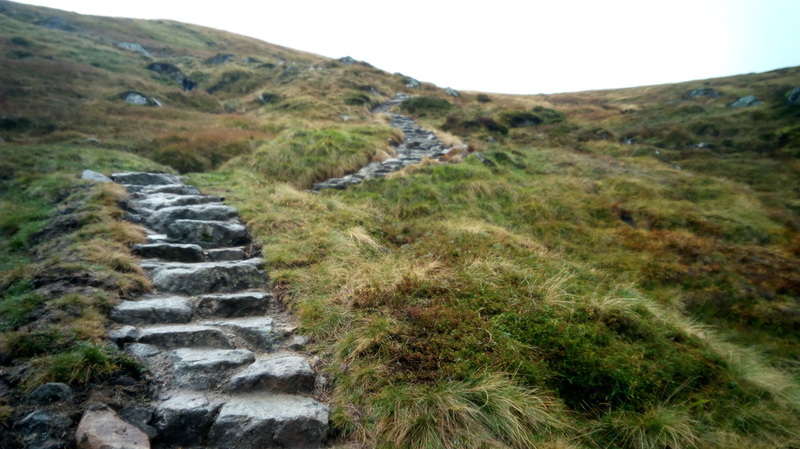 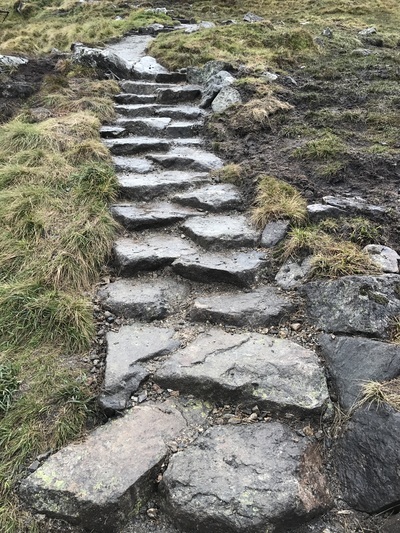 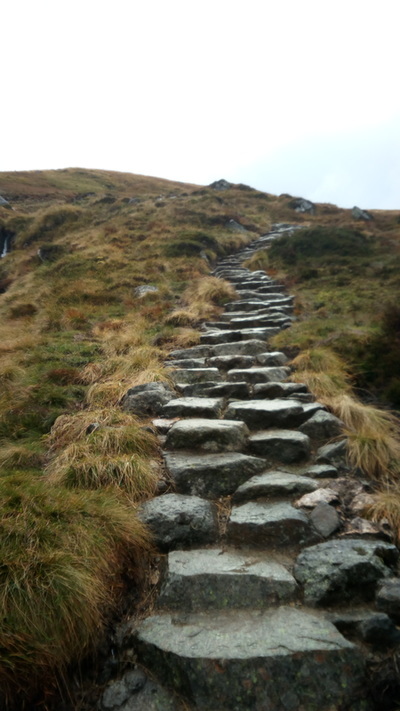 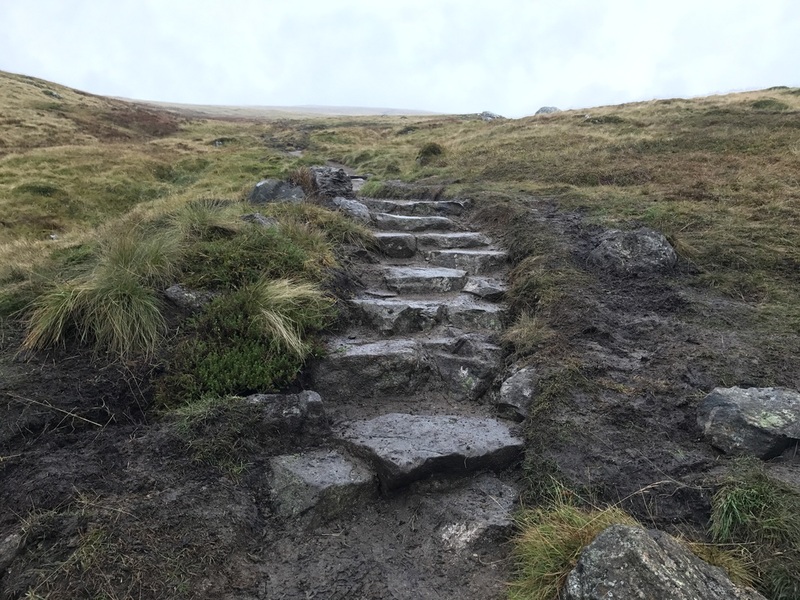 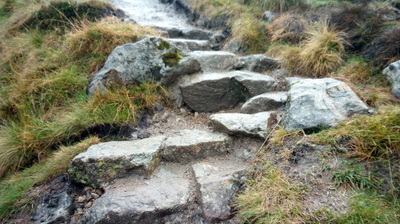 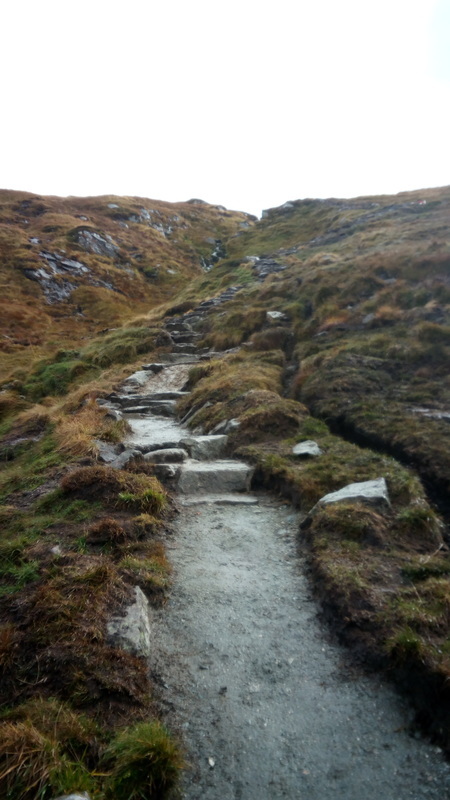 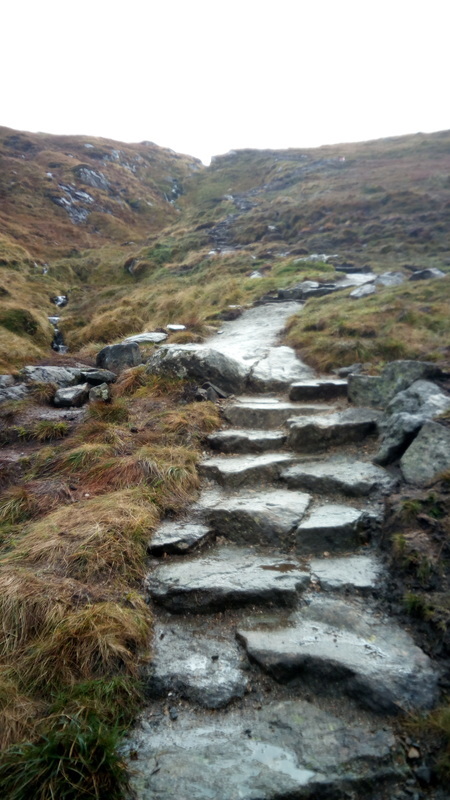 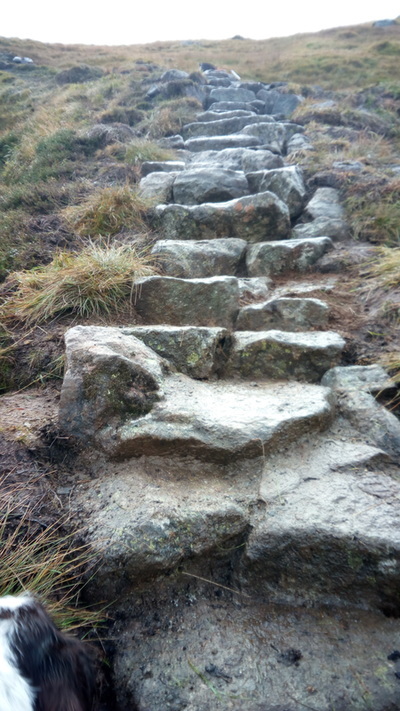 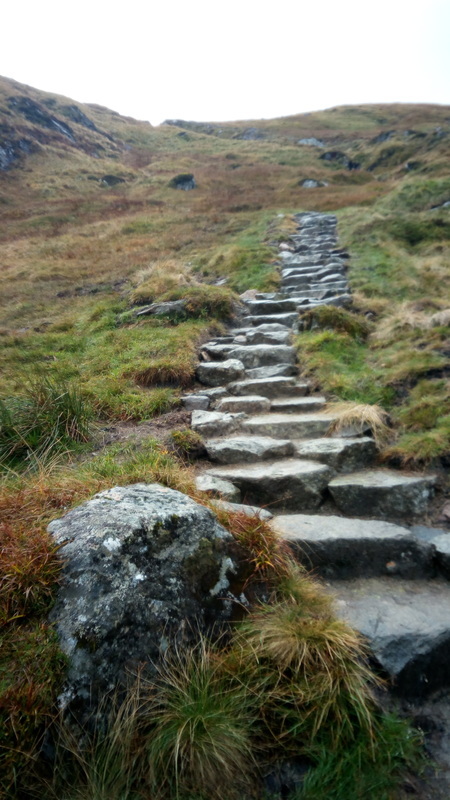 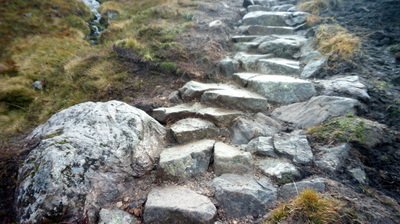 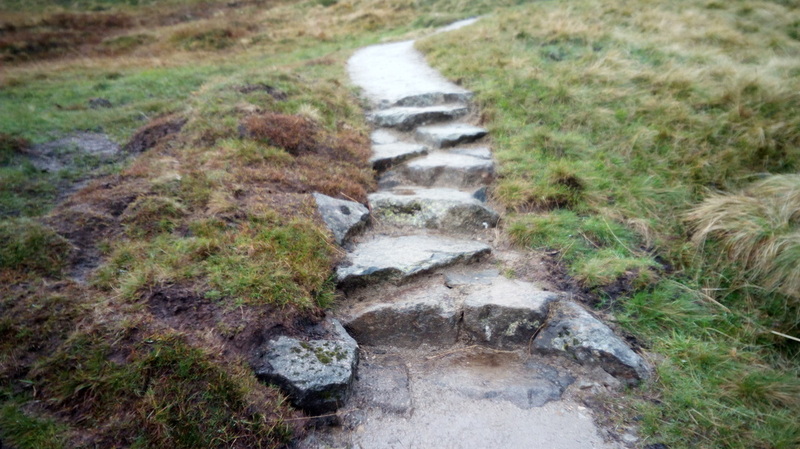 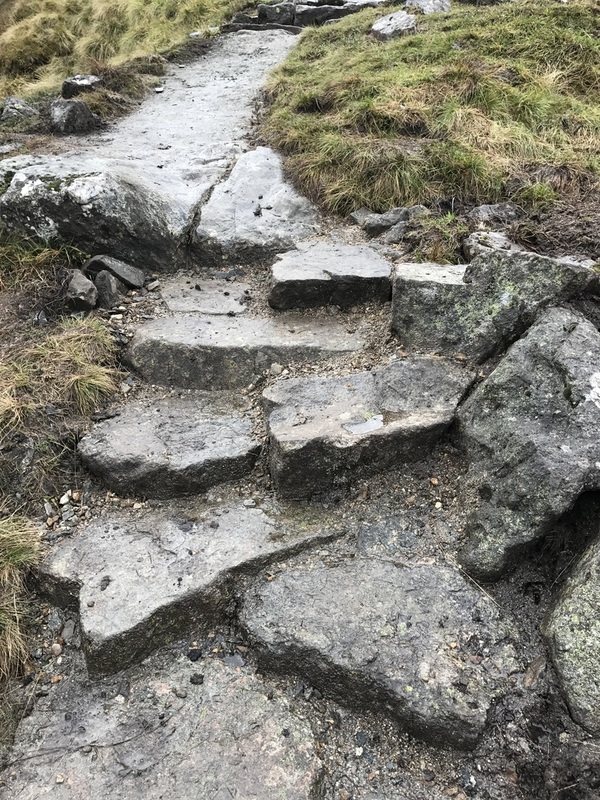 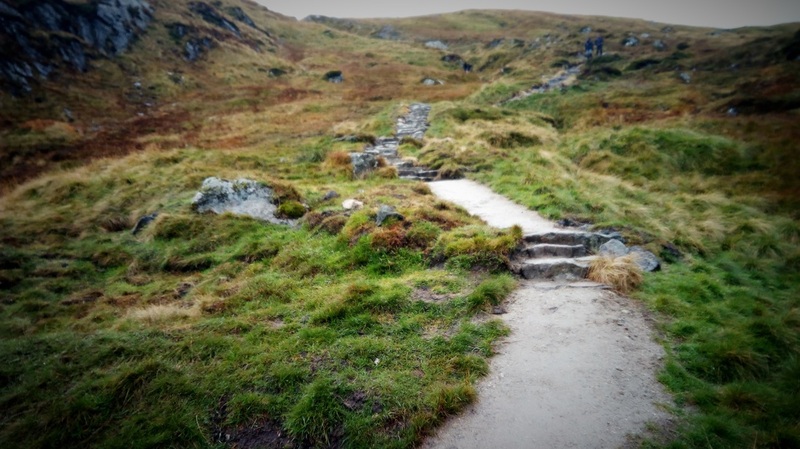 The site sits at the very top of Corrie Fee and starts at an altitude of about 650m the path starts quite gently but quickly becomes very steep before levelling out near the end of the work site. 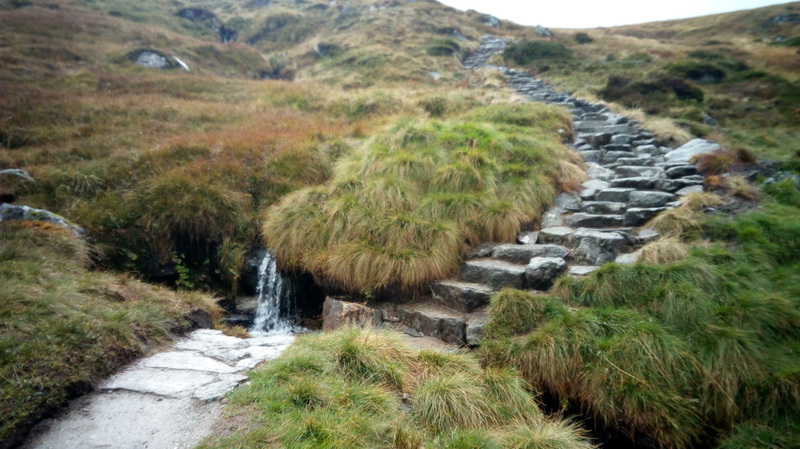 The path line roughly follows a burn which it has to cross about a third of the way up, this burn when in spate is one of the reasons that the existing trod is in a poor condition as at the top of the site it can spill over and it then flows down the path line which is on quite peaty ground, leaving a wet slippery area that is avoided by walkers. As well as the burn, the ground on the cross slope above the path is made up of deep peat which holds, until it saturates, a high volume of water that then filters down along the entire length of the path, this required extra side ditches and some blocking to prevent it running onto the path in heavy rains. Cloud inversion in Corrie Fee. 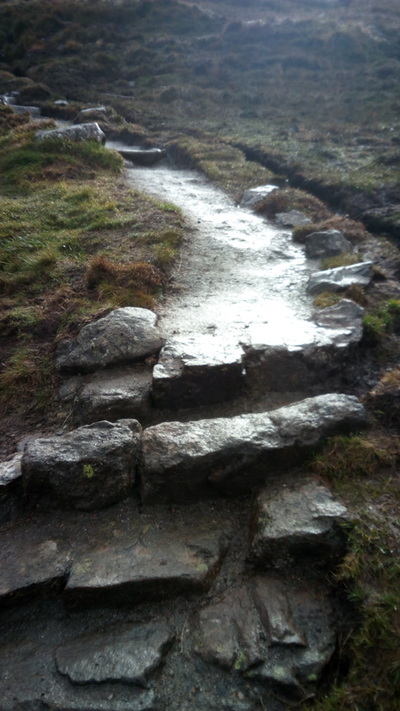 Stone work, aggregate path and ditching.